Sunit Rikhi brings a lifetime of career learning and leadership to help clients, readers, and audiences achieve results worthy of their potential while experiencing the joys of growth without limits. In his 30 year career as an Intel executive, Sunit Rikhi pioneered several game-changing initiatives and contributed significantly to the shaping of the semiconductor industry and our way of life on earth today. Sunit started Intel Custom Foundry from scratch in 2008 to provide leading edge custom silicon manufacturing services to fabless design companies. At the time he retired from Intel in May of 2015, the business was on a path to ramping volume to over a billion dollars of revenue run rate. The business had over a thousand engineers spread across the globe and more than ten customers in the USA and Asia. At Intel, between 2002 and 2008, Sunit successfully led the synchronization of advanced designs with Moore’s Law nodes from 65 nanometers(nm) down to 22nm. During this time, Sunit led Intel’s Design-For-Manufacturing initiative and gave shape to a brand new engineering discipline called computational lithography. From 1994 to 2002, Sunit led the semiconductor industry in revolutionizing operations with fully automated 300 millimeters silicon wafer manufacturing factories. Under his leadership, an entire industrial automation system was put in place to establish the gold standard for not only Intel’s global factory network, but also that of the world. 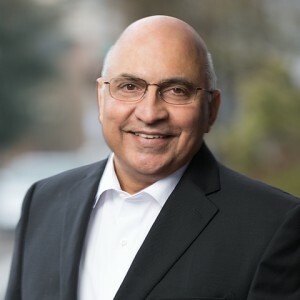 Prior to 1994, Sunit made several engineering management contributions to Intel’s Mask Shop, Intel’s Design Automation, American Microsystems’ Design Automation and Boeing’s 757 program. 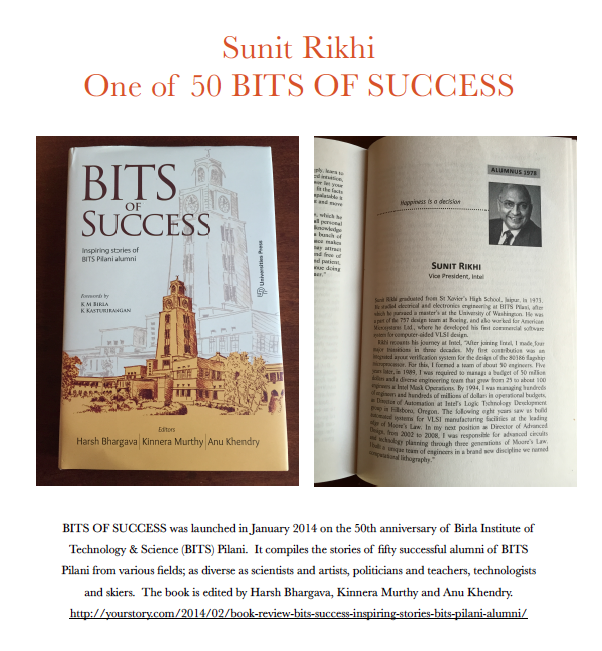 Sunit’s experience pioneering global change in the semiconductor industry alongside thousands of talented managers generated within him a deep appreciation for management as a career and a fascination for what it means to pursue one’s own limitless growth. 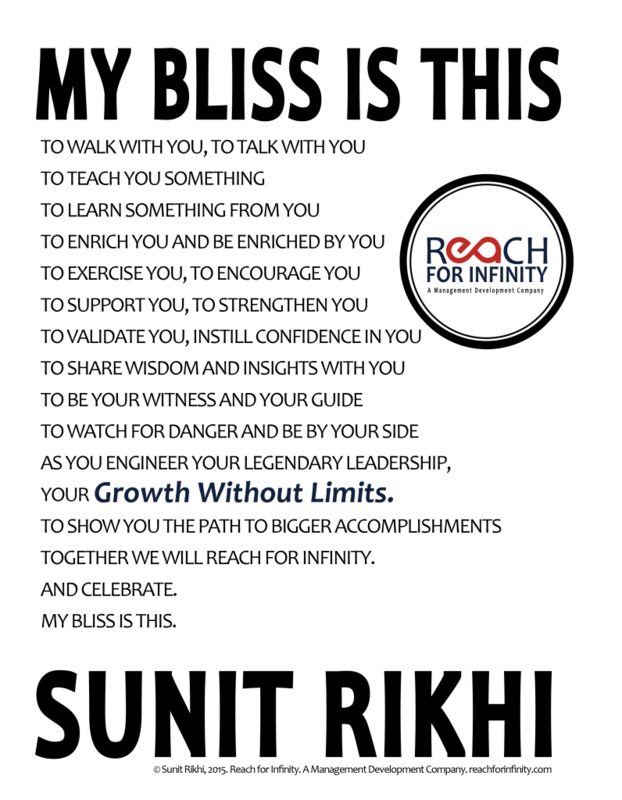 As a result, Sunit has formed Reach for Infinity, a management development company that supports managers as they engineer their own legendary leadership and growth without limits. His latest reach will pour his knowledge, experience, and philosophy into managers worldwide through speaking, writing, collaboration, and mentorships. Sunit is a member of the board of Children’s Cancer Therapy Development Institute (CC-TDI). CC-TDI is a non-profit organization on a bold scientific course of discovery to create more effective clinical trials for those childhood cancers that are most in need of treatments to save kids’ lives. Sunit is helping strengthen CC-TDI’s culture with increased focus on engineering discipline and results orientation. He is facilitating engagement with engineering talent available in the greater Portland area to hasten the process of bringing new therapies for children’s cancer to market through the Engineering Forward initiative.